This romance is the meat of the film, but it’s the non-romance material in the film that makes it so interesting to me. 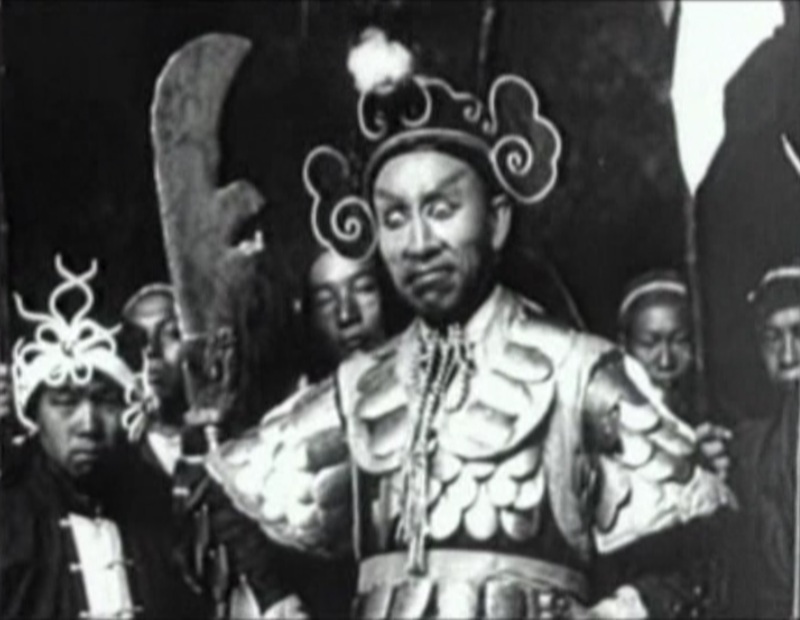 About 10 minutes in, a bandit leader is introduced, Sung Fei Fu (Li Huamin) AKA The Terror of the Region, and he soon marches on the temple in order to kidnap Cui Ying Ying for himself. These scenes are great, filled with many extras filing out of the bandit cave or tramping around the Chinese countryside in full costume, but it’s when the battles start that everything heats up. The fights themselves are honestly a lot better than you’d expect from the early days of cinema. They are sped up, and the choreography is basic, but the sense of battle is similar to what it is in later martial arts films. There’s also a couple of recognizable traits of the martial arts genre in evidence here in protozoic form. Hong Kong action films have distinguished themselves by capturing the full bodies of their actors during fight sequences, and while Romance of the Western Chamber was made in mainland China before Hong Kong had much of a film industry, this defining factor shows up during a battle between two generals. The performers look legitimately skilled, too; these aren’t just actors becoming amazing fighters through editing. Although, speaking of editing, there is a wonderful use of intercutting close-up shots of swords and axes clashing to give the far-away, “extras flailing” battle shots a sense of intensity and urgency. 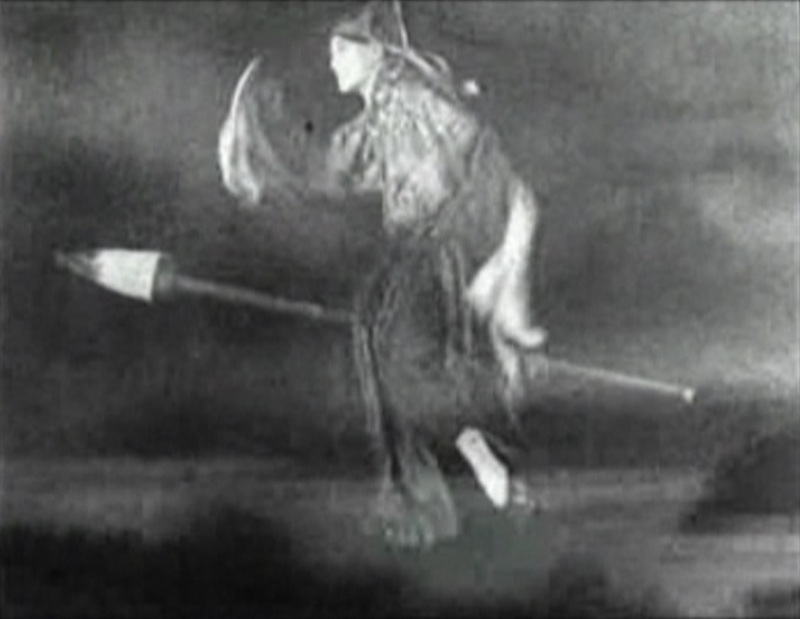 The other proto-HK filmmaking I noticed was when one man wielding a staff faced off against a group of bandits. The camera captures a good portion of the action from above, just as many later films do, including most of the Shaw films I’ve covered so far in my chronological series. This could definitely be me looking and reaching for some long lost connective tissue, but I’d like to think that the techniques used on films such as Romance of the Western Chamber actually did influence the later films of Hong Kong. I don’t see this as too much of a leap of faith, as Hou Yao emigrated to Hong Kong in the early ’30s to become part of the new Cantonese industry springing up there. The same is apparently true of many of China’s best filmmakers of the era, so to assume that these filmmakers laid the groundwork for Hong Kong action films as we know them seems like a believable stretch to make. It’s kind of like how the Shaw Brothers films essentially laid the foundation for the modern martial arts action films that continue to be made to this day. 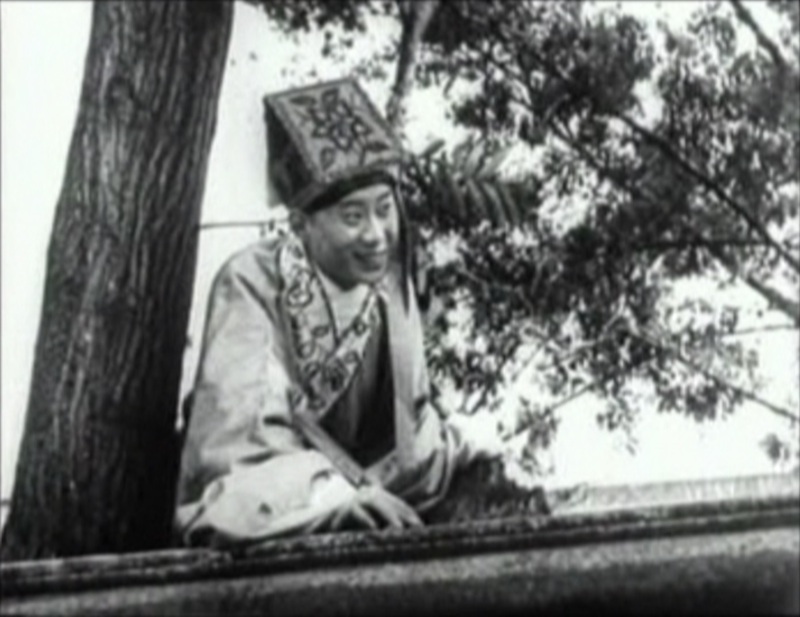 Towards the end of Romance of the Western Chamber, we are treated to a wonderful dream sequence where Chang Kung imagines a scenario where Sung Fei Fu kidnaps Cui Ying Ying and he is unable to stop Sung because of his lack of swordsmanship. In a moment of inspiration he grabs his calligraphy brush — the pen brush is mightier than the sword — and it transforms into a staff-sized version of itself, which he then rides like a witch’s broom to rescue his love. Thankfully his supple brushwork translates to the bigger instrument, and now he can fight the bandit on equal terms. And while we’re talking about this “fantastic” part of the film, I want to point out how fantastic Li Huamin is as Sung Fung Fei. His face is one of the most expressive and captivating to ever grace a silent film. Unfortunately, like many silent films, only a portion of Romance of the Western Chamber still exists. We have five reels of the film’s ten, and judging from the way the film ends I’m guessing those five missing reels are the last five. There aren’t any specific story jumps throughout the film that would suggest missing footage, until the ending just kinda happens without resolution. The lack of a definite ending doesn’t really concern me — I’m sure everything worked out in the end — but I do wonder what sights we’re missing out on in those five missing, especially considering the strength of the dream sequence. I suppose we’ll just have to be happy any of it remains, and revel in the many films that followed in its wake. If you’re interested in Chinese film and the silent era, Romance of the Western Chamber is a no-brainer.